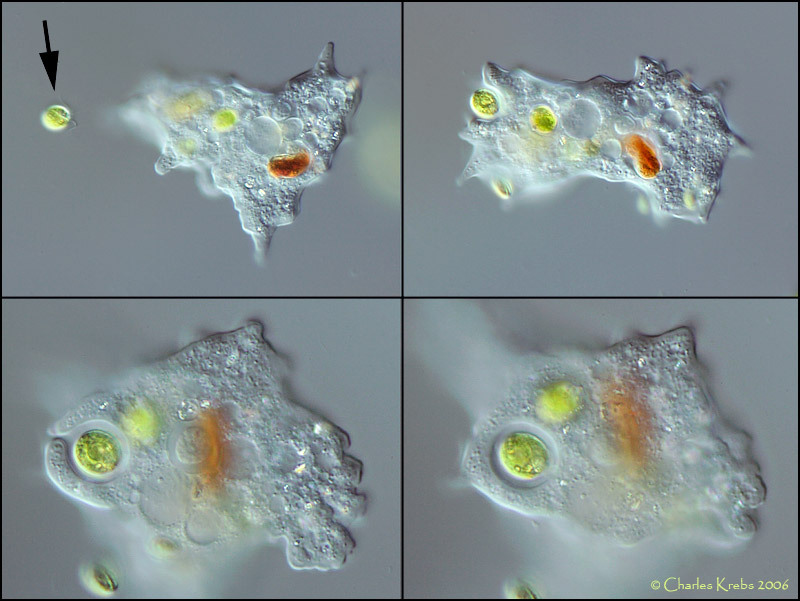 I watched this small green flagellate approach and move up against the surface of this amoeba. Big mistake. 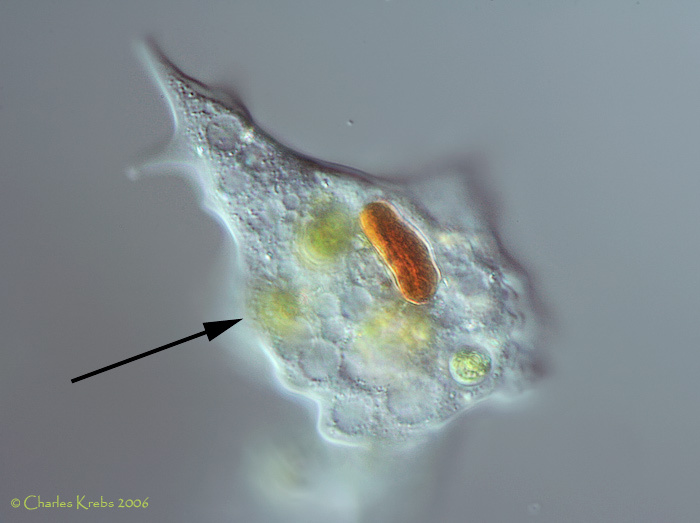 The amoeba slowly extended a welcoming pseudopod around the little fella, and next thing you know it's a food vacuole! Charlie you never cease to amaze me with your amoeba images. You always seem to capture them at the right place and time and the details of them, as usual, are quite extraordinary. Wonderful series of images displaying something that I personally have not had the pleasure to observe. Thanks! You guys will sure make me invest into a microscopy equipment. These images are, in my opinion, for art galleries my ladies and gents . Charlie - how do you do it??? These images are so clean, so descriptive and .... words fail me. I have watched this happen and I always wonder how do they detect the prey. They engulph their prey without touching! It has been said that amoeba are attracted by movements of the intended prey or by substances emitting or diffusing from it. They also tend to avoid things that show intense activity. Proably because the amoebae are so slow in their movements. In other words, the amoebae must be pretty healthy since they do not consume fast food.